And The 2017 Found Change Challenge Total Was . 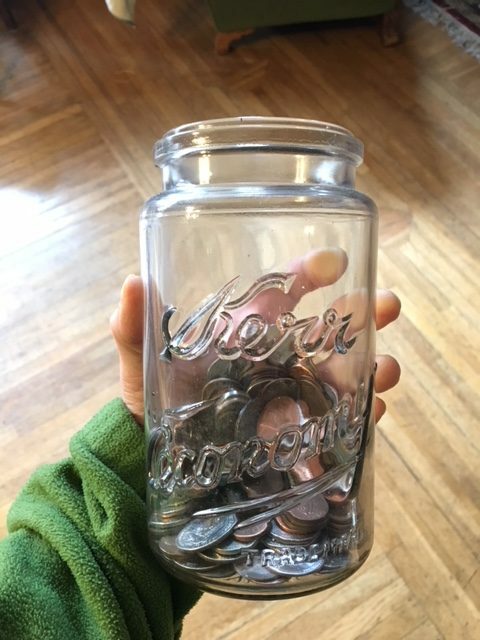 . .
Long time followers of the blog know that I host a Found Change Challenge every year, which is another way of saying that I save all my found money in a jar and then count it up when the year is over. It’s been as high as $56.54, due to a twenty dollar bill that I found blowing around the streets of Manhattan, which isn’t exactly a sustainable monetary plan. 2017 was kind of a bust, which I attribute to having an empty nest and not being out and about as much as previous years. My 2016 total was $19.23. My 2015 total was $56.54. 2018 is already looking to be a banner year as I’ve found one quarter, one dime and two pennies so far. Woo-hoo! I deposited that $15.17 into my sons’ college account as we have yet another $8000+ tuition payment due at the beginning of April. Now, if I could just get someone to drop an $8000 bill on the ground . . . .
Did you participate in the Found Change Challenge? If so, how much did you find? Please share your stories of found money in the comments section below. We pick up found change but I always just put it in my change purse with my other change, so I don’t have a total. I often find change at the gym, especially at the leg press machine. I’ve trained my kids well because they always look when we’re out and about and get so excited when they find something. This is the last double tuition payment you’ll have to make, right? I hope you find that $8k bill! this is one of my favorite hymns ! Cool story! TY for sharing. Who do you get to count your coins? The machines take a big %. Our bank does not want to do this anymore?? I count ours and roll the change and then take it to the bank to cash it it. If you are a member of a credit union, or some banks, they may do this for free. Both of our financial institutions do this for us, and of course, we would NEVER use a bank that charged for their services! So, FREE! If this wasn’t an option, I would do what was mentioned above: either just count it myself and keep track and spend it, or use a machine that didn’t charge a fee. I use Coinstar because I also have 2 boys in college — so I take it in the form of an Amazon gift certificate, and use it for their book rentals. That way there’s zero fees, and the book rentals/purchases are not quite so painful. Our bank’s machine counts for free IF you deposit the entire amount in your account. So that’s what we do. We bank at a very large national chain here in the US, so there may be others who do that too. When we banked at a smaller bank, I rolled ours by hand and deposited them. Our bank would give us a few sleeves at a time for the coins just for asking. Our bank has a money counting machine that is free of charge as long as you have an account there. I didn’t realize this isn’t true for all banks. I feel fortunate now. My mom and I have a friendly little competition each year and she always wins. This year was no different. My mom, an 83-year-old whippersnapper, found: $14.36. And she’s already ahead of me this year. I’ve found a grand total of one penny and she’s already found two quarters, a Canadian quarter, a couple dimes and some pennies. My 2017 found change came to $19.31 (including two $5 bills). My NY State deposit container total (read: bottlepicking income; NYS deposits on sodas I buy for myself don’t count) was $255.35, which is down from earlier years because of leg/ankle injuries and bad weather from October through December–but still a decent sum. And an alternative answer to Madeline K’s question about counting coins: I keep my found change in the fanny pack I take with me on thrift shop runs, and spend it there. (The cashiers are almost always delighted to get small change, as long as I’m not holding up a line while counting it out!) The containers get cashed in at Wegmans or at the bottle return place next door to one of our Rescue Mission stores. In Illinois, we don’t have any bottle or can deposit-return programs (sadly) but we do pick up cans and take the aluminum to the metals place for cash- maybe $100 a year. The glass and plastic bottles we put in our curbside recycling container to be good citizens. Years ago an older gentleman used to come around to a garden shop I worked at looking for the employees’ empty cans and bottles. I heard he put his two daughters through college by collecting cans and bottles. Not bad. In Connecticut where I grew up, there is a state bottle bill (cans and bottles are charges a 5 cent fee at purchase, and empty cans and bottles are returned for 5 cents each to a recycling center.) When I was in college in the 1980s some of us would collect the “empties” around campus after Thursday partying nights and weekends. We made enough to pay our phone bill every month. My big find of the year was a dollar bill last January, a couple of weeks after finding another single. Doesn’t sound like much, but I did a blog post on what a dollar can mean to a thrifter. I found $25. A twenty dollar bill and a five dollar bill. Our business is right down wind from a busy restaurant so on a windy day I make sure to scurry down the alley a few times. I have found random coins this past year but I use my coins at self checkouts so I don’t keep up with the amount. I’ve never kept track of found change, honestly, but I’m also not out and about enough to have opportunities to find it. It does remind me of a funny story a friend told me when she got into work one day, though. She was walking and listening to music on her earphones when she saw a dollar bill flutter to the ground in front of her. And another. Then another. Then it was a $20! She was so startled, she looked up to see a baby perched on her mom’s shoulder, reaching into the backpack and throwing the money out of the wallet she’d found! LOL! So funny! It wouldn’t have been for the Mom when she went into her wallet to grab some cash though. Glad those bills came fluttering down in front of an honest person…you. After finding your blog and reading all the archives, this was one of my favorite things and I decided to give it a go. I live in a small town, and work in the same town, so I don’t get that far of field. At first, I didn’t think I was going to find much, but I DID find $12.01-$9 of which was paper money! It was much better than I would have thought and it was just so fun to participate in! Off to a good start myself, so far I have found a quarter and a dime! Our amount for the year (which goes from Oct to Oct–I was late getting into the game) was $30.65. I have trained my kids to keep a eye on the ground. 2 of my kids each found $5.00 bill at the ball field. I give the kids the final say on what we do with the $$. (Last year was just under $9–so they chose to eat at a fast food joint—which I never take them to). This year they chose to donate the $$ to a children’s charity. Good kids you got there! This included a still-valid $25.00 gift card for Target found in the street while walking the dog. Have found 3 quarters and one dime so far this year…….. I just keep all my change in a container. Some years I have a lot but since I mainly use my credit card now, not as much- $67 this year. I gave it away to Special Olympics and am starting fresh. 16.95 here last year for my son and I. Already up to 47 cents! He loves it and is always on the lookout (he’s 11). I found $11.61 in the second half of 2017 and from late September 2016 through the first half of 2017 I found $53.62 (including a $20 bill in the street and a few one dollar bills). It seems there just isn’t money to be found these days (credit cards, debit cards, Apple Pay, etc.). I have found $.12 so far this year. I always pick up money when I see; however, I rarely find any. I think that I too live in a part of the world where other types of payment are used more frequently. I have often wonder how much money the beachcombers find when using metal detectors. 2013 my total was $4.80 and a NH token (found on a snowbank in Boston about 10 years after they stopped making them!! 2017. $7.62 plus 4 wheat pennies, one from 1943 that looks like it was made with silver. Its definitely not a copper penny. So far this year I have found a quarter and a penny. Pennies during WWII may be zinc. Yes, I actually just looked it up. pennies in 1943 were steel plated in zinc. I used to find a lot more when my son was little. He had an uncanny sense for dropped change. This year I found a couple of dimes in the parking lot st my old job and a haul of 78 cents at one time at the new job, plus a quarter and two pennies in the grocery store parking lot. Ruby, it may come as no surprise to learn that from the time she could walk, the already-observant Katy was spotting coins on the ground. Obviously, she still does! My 4 year old figured out (on his own!) that most people don’t check the coin return on CoinStar machines. Our grocery store has 2 of them and he’ll frequently find up to 50 cents. A few weeks ago he found $3.12 at one time! He was so excited to put it in his piggy bank! And we used to check pay phones coin-return slots! I still check soda machines and around car vacuums for change. I have lost so much money in those over the years that it’s nice to find a random coin sometimes. My best find was a $20 note at the bottom of a lake! I spotted it from our 2-man kayak, but my husband (in the back) didn’t believe me. Although he scoffed, he offered to go in after it if it really was there, so we circled around above it again. Sure enough, there it was,caught under a branch below us, so he kept his word and went into the very cold, 2 metre-deep water and retrieved it. What a hero! Loved both these stories – and the impetus-to-action connection it made for you, A. Marie. I haven’t kept up with the amount, but I always split found money between the piggy banks I keep for my two Grands. I am going to try to save the money I find this year. So far I’ve found a dime, a nickel and two pennies. I’m going to start too. My husband handed me a dime the other day that he found on the ground so that will be the first of hopefully a good amount found in 2018. Frugal fun and games! I remind myself it’s good exercise- lol. Good way to look at it! Yes! This was my first year doing the challenge. 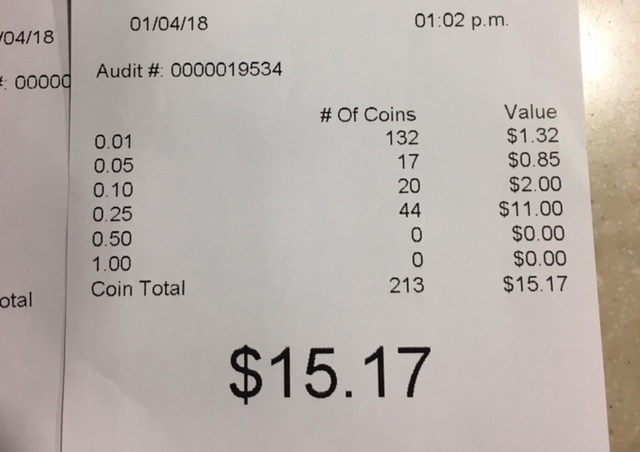 Went to my credit union last week (hooray for free CoinStar machines! ), and deposited a grand total of $24.62. I also have a small bag of foreign coins that still need to be exchanged, as my CU does not after that service. I’m figuring all of those coins will total ~$4.00. I’m up to almost $0.50 so far in 2018. Where would be a good place to check on the value of foreign money, both coins and paper. I have a little stash (some old) and really don’t know how to get the best deal. I found 46 cents in the Costco parking lot the other day, and thought of Katy! I used to keep a small box of the coins I found when I was in high school, but it didn’t add up to much. The best was when I found a $50 bill on the sidewalk in front of my house when I was a kid. It didn’t belong to either of my parents, so I got to claim it. My total was $10.47. About $6 of that was quarters from Aldi carts people didn’t return or get the quarter back. I didn’t participate but I found $20 on the ground before Christmas. Since I was on my way to pickup my Husbands dry cleaning, I spent it on that, with some left over. I’ll have to start keeping track. Besos Sarah. We kept track just the first year. It was 14$ and change. Anymore, we put in in a small dish. When it’s full, with pocket change, too, we put it into a bank bag. When that gets heavy, we turn it in. We keep a coin jar on top of my husband’s dresser. Whenever I find money I put it in there. Once a month I take the change to the Credit Union where my kid’s have their Savings Accounts and I use the coin machine there to change it into “ice cream money”. 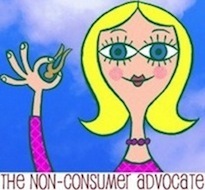 We do once-a-month Mystery Shops at the bank so get paid $15.00 for the Shops. Win-win. $2.20 was all I found this year down here in Texas. Always keep my eyes open…I get so happy when I do find a coin…life’s simple pleasures. I haven’t looked but I’m guessing under $1. I put it in the bank I keep near the washing machine. I did better before my kids left home, but I walk very little because I live in a little town with almost no stores, etc. It’s a 10 mile drive to just about anywhere. I did find a few coins in the grocery store parking lot but very few and most were pennies. I’ll check next time I’m in the basement but I doubt I found much at all. I have been waiting for this post! My daughter and I did this for the first time this year! Our grand total was 34.32! I think it was a good score! We have already started this years! It was fun, and she is always looking on the ground for found change! Be sure and look at the dates on your u.s. change. Pre 1964 has silver making it worth more than face value. I found a dime and gave it to someone who collects them. It was worth about $1 at the time. I now regular look at all change, especially coin star leftovers. Does that include nickels, dimes, quarters? Hi, US dimes, quarters, half dollar, and dollar coins dated 1964 or earlier are 40% silver. Kennedy 1964 are 90%, 1965-1970 are 40%. You can google your coins to find out more information. This site explains. I work in NYC and I’m always finding change on the ground. I tried to keep a tally but that never seemed to work out. So I just pocket it. If on the rare occasion I find paper money, I give it to the next homeless person I meet. I don’t have a total, because I throw any spare change I find into my car’s change-holder for the days when I really need coffee while out and about (or I just want a donut, lol) but don’t want to spend money out of our account. I was at the airport over the holidays and saw a penny on the ground near security (almost right underneath the screening conveyor belts. I was going to get it, but there was a gentleman standing closer to it putting his shoes and coat back on, so I left it…but I did have the fleeting thought that Katy wouldn’t have passed it up! I have a good start this year. I found $80.00 in a Walmart parking lot. It was in a wet crumpled envelope. My husband asked, what are you going to do with it? I said, I’ll add it to my emergency fund. He said no, you should donate it to charity. And so be it. My 2017 total was $13.11. I’ve only found $.02 so far this year. I forgot to keep mine separated out. I have a jar for silver and a bank for pennies, but I haven’t counted the change in a few years now. Guess I need to do that. I’ve probably got a chunk I can throw into savings! My total was $13.42 back in August. I end my found change challenge in August each year – there’s a farm stand store that has some wonderful deals on their products. I take the found money and buy vegetables with it. Then I take a picture of the veggies and tell people “Look at all the food I found on the ground.” Okay, I’ll admit I’m strange. $5.47. Not my best year. So far this year I have 1 dime. Mine goes to the food bank. We found $56.40 in 2017! But we collect bottles/cans we find and that bottle deposit money goes into the found change jar, so this amount is mostly from found bottles. The policy in my house is that we save all the found change and then pick a charity to donate it to at the end of the year. This way, something bad (someone losing their money) turns into something good. But it really bums out my son when he finds that occasional $5 or $20 bill! I found a whopping $2.00!